After more than five decades as the nation's best-selling apple, the Red Delicious has been dethroned by the Gala variety. Its bland reign has finally ended. 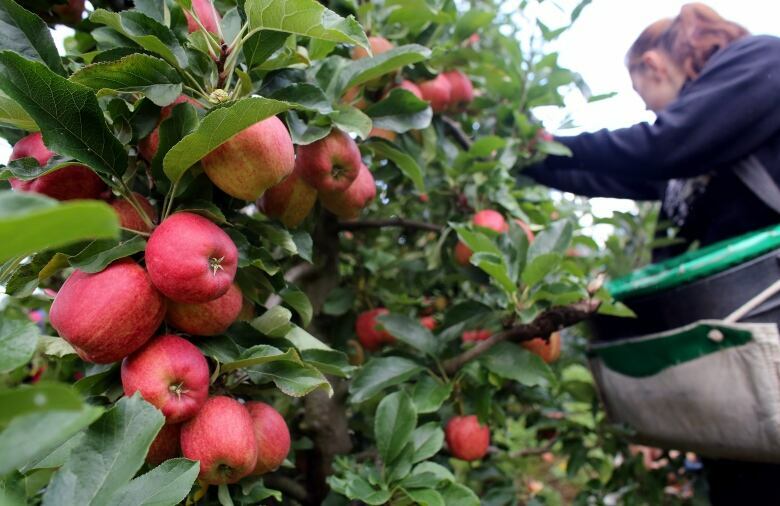 The Red Delicious is no longer the most popular apple variety in America. 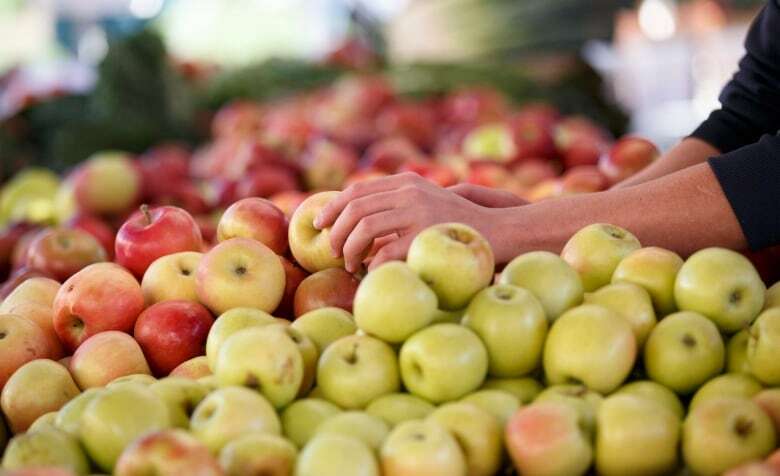 According to the U.S. Apple Association, the Red Delicious been knocked off the top of the pile by the Gala variety, after more than five decades as the country's best-selling apple. Simon Thibault is a food writer and cookbook author who comes from a long line of apple growers. He spoke to As It Happens guest host Helen Mann about why so many are welcoming the decline of America's top apple. What were your first thoughts when you heard the news that Red Delicious was no longer the top apple? It's about time. I mean it's been sitting around for the longest time, just kind of being the most sold apple. And the only real reason was because of its colour and because of how easy it was to ship. And that's about it. There's been a chorus of cheers online, with people saying that this is a tasteless, disappointing apple. Is that fair? It is to what the Red Delicious is now. When it first came up on the scene in the late 1880s, it was a Quaker farmer in Iowa who actually found it. And I guess he saw it, tasted it, and thought, "Ah, maybe I'll keep it, but I'll see if it grows well." So he actually chopped the tree down three times before he decided, "Yeah, it keeps coming back. It must be a sign from God. So I'm going to keep it." So do we know if the apple tasted different in those days than it does now? It did. It actually was, according to records of the time, pleasantly sweet. We do know that it was crisp and that it was perfumed. But through some little bit of breeding, a little bit of time, the apple became redder in colour. But by doing that, we actually lost the flavour, and the texture of it was lost as well. Gala apples are now America's favourite variety, after a steady and consistent rise in their popularity. (Matt Cardy/Getty Images)So that's got some people calling it a "Judas fruit" online today. They're saying it's deceptive, that it's a tissue of lies. When it was first brought about, it was marketed as "The Delicious." It was only later on when it became known as the Red Delicious, when the Yellow Delicious was brought about. But one of the things that we don't really think about with apples is that we now live in a time where apples tend to be stored for longer than you think. That Red Delicious you're buying at a grocery store may have been in storage anywhere from two months to six months, depending on when and where it was grown. So you really don't know when that Apple was picked. And that really affects flavour. Is a Red Delicious more durable than other types of apples? That's how the Red Delicious really made its mark. Unlike certain varieties of apples, especially early varieties, they don't bruise easily. These apples basically withstand industrial shipping and industrial packaging. That's what made them so appealing. So that you could have an aesthetically pleasing, almost like the platonic ideal of an apple, in a grocery store that would be uniform to distribute, uniform in looks and uniform in taste and texture across North America. So who is buying all these Red Delicious apples? Thankfully now we know that less people are buying them. But one of the things that have actually helped support the market in Red Delicious for the longest time have been institutions — schools, cafeterias, universities — because they have to provide a nutritious meal for various reasons, and fruits and vegetables are part of that. And you need a fruit or vegetable that can be harvested industrially as well as distributed in an industrial manner, without causing any detriment to the aesthetic or the looks of it or the texture of it. And so that's where the Red Delicious fits absolutely perfectly. That's pretty much why when you're sitting in a hospital bed and you've got an apple on your plate, it's probably a Red Delicious. 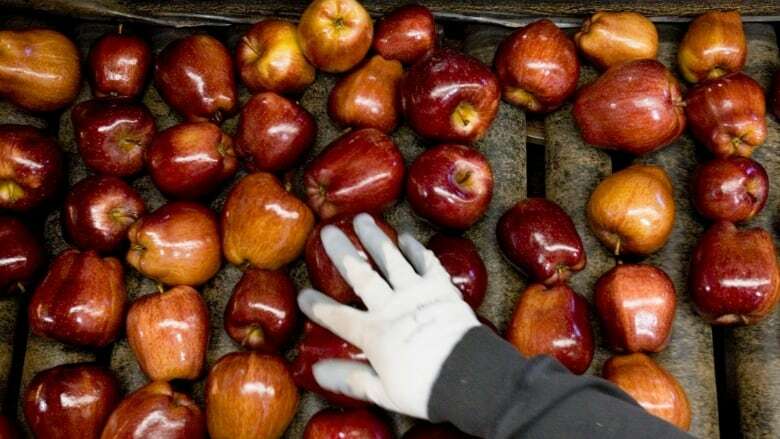 The only real reason for the long-lasing popularity of the Red Delicious has been its colour and its ability to withstand industrial shipping, says food writer Simon Thibault. (J. Scott Applewhite/Associated Press)What's your favourite apple? I love eating a Gravenstein a week before it's supposed to be eaten. I love the texture and the crispness of it. Right now I am a fan of Jersey Macs, because they're one of the early varieties and they're nice and tart. But later in the season, when it comes to November, I'm very happy to be eating a Winesnap or a Russet. Do you have any concerns that the Red Delicious might climb back on the top of the list? No. In fact, in the past three or four years it's almost become dead in terms of people growing them or grafting them. I think we might still however be stuck with uniform sweetness if that's all we think about looking at or wanting to buy. And that's unfortunate. Written by Donya Ziaee. Produced by Ashley Mak. Q&A has been edited for length and clarity.